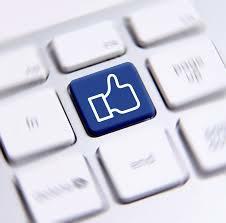 Put social sharing buttons on your blog posts, your website, your blogs, on product pages and everywhere else. Web users are not only use to seeing these now, but they expect them to be there to make it easier for them to share your content. This is also related to your @usernames, YouTube channels names, and other important social profile names. This will help breed familiarity with your usernames, making it so people don’t have to guess what your Twitter handle, YouTube channel name, or any other social profile is called. Remember the old days when you’d put coupons in magazines and newspapers and all it would do is get you a few more customers and give people more incentive to buy the newspaper or magazine? 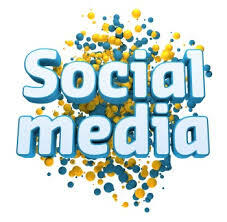 Well social media gives you the chance to capture those new followers in your own social profiles. Rather than the magazine or newspaper getting more buys, you get more fans! Social Proof: Why should anyone believe you? Social proof is a concept that espouses numbers and little else. When people first come across your social profile they’re going to see how many followers, subscribers and likes you have. If your numbers are low they’re not going to believe that you’re a trustworthy voice in your industry. This is why Twitter follower and retweet services get business – they boost your social proof right away while you continue to do the hard work. Flock to Unlock is a popular new method that smart social profiles are using to get their fans to do certain things. But this doesn’t have to be limited to just Twitter. You can tell your fans that they’ll get to watch a certain video once you get to a certain number of subscribers. You can challenge your fans to share a photo a certain number of times on Instagram to unlock a new product image that they’re excited about. In summary: Build up a wall, and challenge your fans to knock it down with shares, likes, subscriptions, and on and on. A newsjack is when you find a news story and jump in with your 2 cents. Doing a newsjack that will actually increase your following happens when you come across a new story that actually has some sort of relevance to you or your industry. Even better, join in on a newsjack when you’re commenting on a story that is within your established area of expertise – you may go viral if you have something truly relevant to say. If something bad happens and your first thought is “How can we newsjack this?”, you’re doing it wrong. If you already have found a user who is talking about your product, ask them for feedback if they’re not already giving you some. “I bought a new widget yesterday” is a common throw away comment on any social media platform. Ask them what they thought about your widget to build your social content and online reviews. A tool like Hootsuite can help you find mentions of your products that don’t directly reference your quotes. Read up on setting up searches that uncover your products and you’ll find all new ways to interact with people who are talking about your products. It’s easy to respond to praise right away – “Thanks for the kind words @niceguy!” Done. But responding to criticism right away is how your potential fans will truly judge you. Give people a response right away and they’ll see that you’re serious about your social media account – not just waiting around for random people to stroke your ego. Have I made it clear yet that your social media accounts aren’t about your ego? Not only will this increase your chances of having them mention you back, but it is also an easy way to get your content into the eyes of their followers. Promoting your latest video through your Twitter account, talking about your newest blog post on Facebook, and snapping a picture of your latest promotion for Instagram are all easy steps you can take to start building a connection between all of your accounts. Before you start doing this, be sure that your social profiles all have a similar feel and look to them. Use common branding – logos and colors – for all of your profiles so that people know immediately that you’re sending them to another page of yours. Facebook announced on Wednesday last week that it planned to make a series of changes to its news feed algorithm so that it will more favorably promote content posted by friends and family rather than publishers. The company said that content posted by publishers will show up less prominently in news feeds, resulting in ‘significantly less traffic’ to these publishers. This will be a concern for publishers and content marketers. We decided to have a look at the Facebook share data and trends over the last year. This will establish a baseline to review future numbers and trends following the upcoming changes. We reviewed 25m Facebook posts published by the top 10,000 publishers over the last year. Note: all charts below are based on this data. What we found might surprise you and make you rethink your strategy. Over the last year there has been small increase in the average shares of all posts published by the top 10,000 publishers. What this data masks is a significant variation between post types as we can see below. The importance of referral traffic from Facebook to publishers can be seen in research from Parse.ly, a digital publishing analytics company, which shows more than 40 percent of referral traffic to news sites comes from Facebook. Facebook has said it expects the changes announced on June 29 will cause a drop in Facebook reach and referral traffic for publishers. From our data we can see there has already been a fall in the average shares of Facebook posts that contain links over the last year. There is a very clear trend of lower shares per post over time. The one format that is driving significantly higher shares on Facebook is videos. The chart below shows very significant growth in the average shares per video post. Average shares have more than doubled since last August. This may be due to Facebook’s focus on video, the auto-playing of videos and similar factors but whatever the reason the data is quite clear. Publishers already understand how well videos work on Facebook. If we look at the number of videos published on Facebook by the top 10,000 publishers over the last year, we can see that they have more than doubled their Facebook video output. We shared the results with some leading commentators and experts for their view on these trends. Ian Cleary, CEO of Razor Social believes we are still in the early days of video growth. Video is a massively important form of content because of the immediacy of connection it provides. Video can be used to inspire, educate, challenge or entertain. However, it’s popularity doesn’t mean that you can ignore best practice – offering the best content match for your audience is just as important for video as it is for any other form of content. There are also some quirks of Facebook video as Julia Bramble points out namely that up to 85% of videos are viewed with the volume off. “Facebook might be hosting upwards of 8 billion views per day on its platform, but a wide majority of that viewership is happening in silence. On the positive side Facebook makes it very easy to monitor your video performance providing with metrics such as the total number of video views, number of views to 10 seconds or more, and the average percentage of the video viewed. Over the last year we saw a growth in shares of photo posts through to January but this has since fallen back over the last 5 months. Over the year as a whole we have not seen much change though we need to keep the recent downward trend under review. If you are looking to increase your Facebook reach and shares, or at least to maintain your shares after the forthcoming changes, the data indicates you need to be looking at video content. Top publishers are already increasing their Facebook video output. What is your Facebook video strategy? Speak to us about your video plans ! !